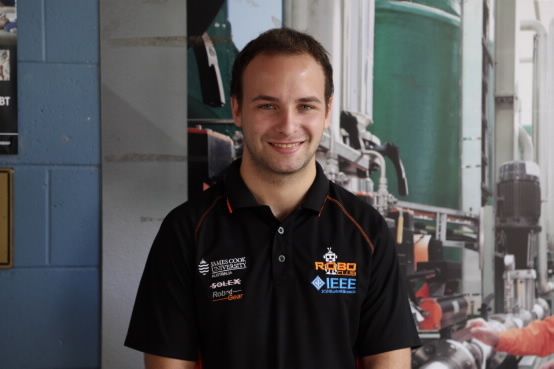 A James Cook University researcher is working on a new device that will let electric car owners sell extra current from their vehicle’s battery to the power network. Kirk Martel is developing technology that will tell electric vehicle owners the best time to sell excess charge back to the grid. A display unit smaller than an iPad screen and designed to fit under a car stereo will receive information from a smart meter. It will tell users when to sell power to the grid and when to buy, based on peak and trough periods of demand and pricing. Researchers have found the typical private user plugged their car in after work at a time of peak domestic demand. Fleet users plugged in at work during peak industrial demand. Mr Martel said the calculations needed were more complicated than turning the battery on and off at certain times. Mr Martel said he expects to complete the project by the end of the year.